Walk by SF Moma and gaze in from the outside. Or make a reservation. 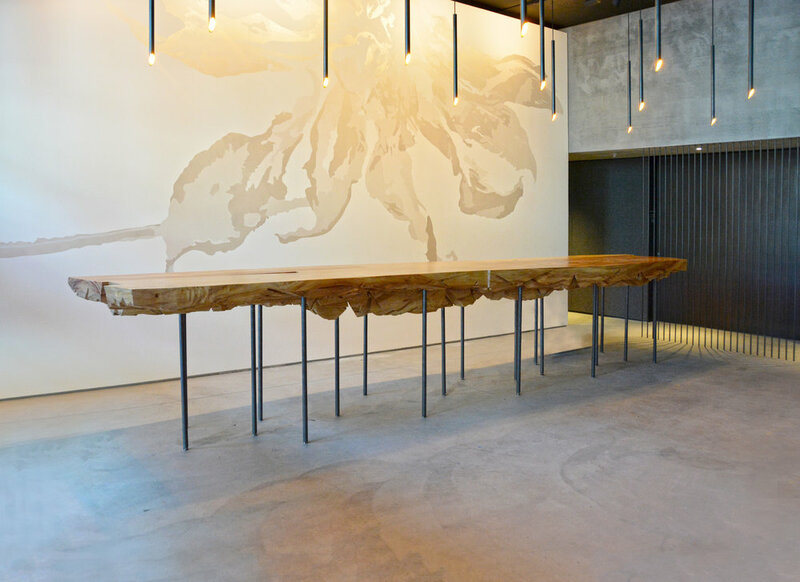 POST-INSTALLATION OF THE FIRST COTTONWOOD SHARD TABLE TO ENTER THE BUILDING. SUPPORTED BY 1" STEEL RODS MADE IN-HOUSE. Chef Corey Lee -- recipient of three Michelin stars, has re-imagined the fine-dining experience by curating a menu of dishes contributed by over 80 chefs from around the world. All tables within the space are produced by Northwood. Come view them at the ground-floor restaurant, either through the windows or by dining in!